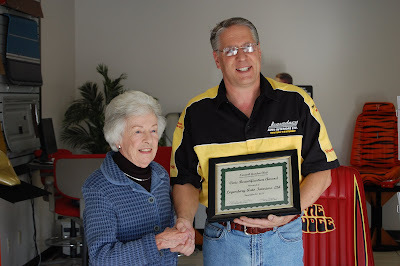 Allie Doyle of the Newark Garden Club congratulates owner Martin Beckenbach of Legendary Auto Interiors Ltd. as he accepts the 2011 Beautification Award. Martin Beckenbach opened his automotive trim shop in 1979 and was the only employee, and by 1985, he had 6 employees and was producing automotive trim products in Macedon, N.Y. He moved the business to Newark in 1990 and hasn’t looked back. Now employing up to 80+ workers and with an expanded product line with facilities on both sides of West Shore Blvd. the company has made continued efforts to landscape and beautify their headquarters. It is for this that Legendary Auto Interiors Ltd. has earned the 2011 Newark Garden Club Civic Beautification Award. 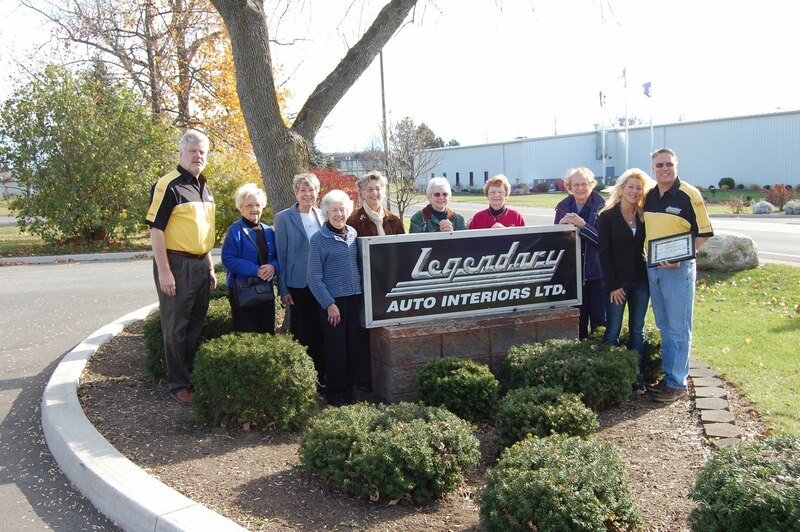 The award was presented last Thursday at the company’s offices on West Shore Blvd. with several members of the Newark Garden Club present. 0 Comments to "2011 Beautification Award"